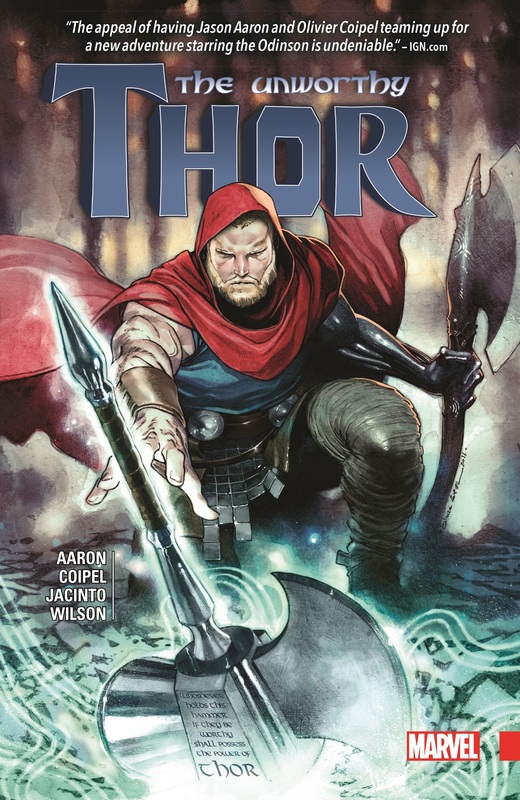 Unfit to lift his hammer, and with someone else now wielding the power of Thor, the Odinson’s desperate quest to regain his worthiness takes him out into the cosmos — where he’s learned of the existence of a mysterious other Mjolnir! This ultimate weapon, a relic from a dead universe, is the key to his redemption — but some of the greatest villains of the Marvel Universe are anxious to get their hands on it, including the Collector and Thanos! And when the realm of Old Asgard vanishes, all might be lost — unless good tidings from Beta Ray Bill offer fresh hope! 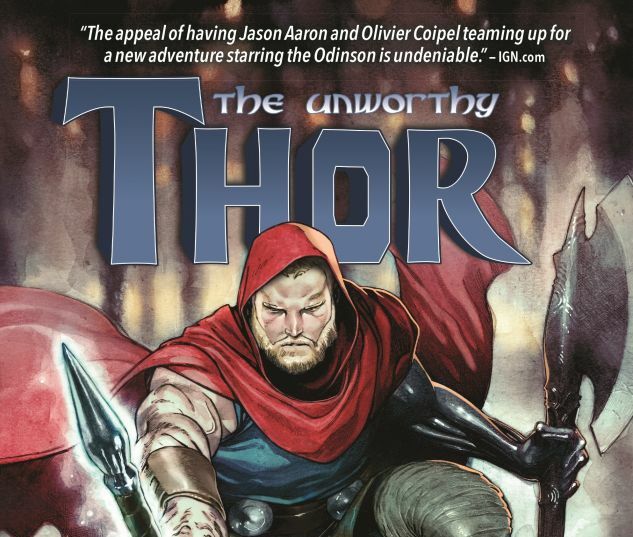 The Odinson gets a new look and a new pet — but can he reclaim his honor? Or will the power of thunder be wielded for evil? Let the battle for the hammer commence! 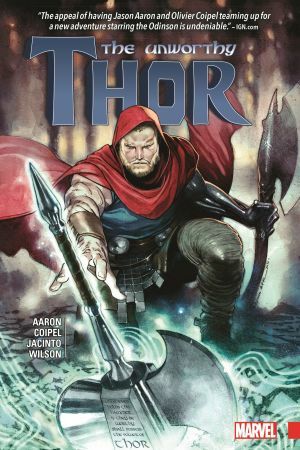 Collecting UNWORTHY THOR #1-5.